It now appears that the US Government has had to pay $425,000 in legal fees and costs to the St Louis Art Museum (Jenna Greence, "Feds Lose Fight Over Ancient Mummy Mask", National Law Journal October 21, 2014). The mask was purchased for $499,000 in 1998. 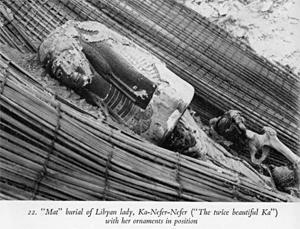 "The Mask of Ka-Nefer-Nefer was a fascinating case that ultimately showed the extent to which the government unfortunately overreached in an attempt to literally take an artifact from the Saint Louis Art Museum using a lawsuit the court said was ‘completely devoid of any facts’ supporting their claims,” McInerney of Dentons said. “Credit really belongs to the art museum and its leadership for not caving in to the government's threats and, after winning the case, for compelling the government to pay the cost of defending a lawsuit that never should have been filed." When did curators at SLAM become aware that the mask was linked with Saqqara? Did curators at SLAM contact the Egyptian SCA on learning that the mask was linked to Saqqara? When was the personal name of Ka-Nefer-Nefer removed from the hand on the mask?